Knorz MC, Vossmerbaeumer U. Comparison of flap adhesion strength using the Amadeus microkeratome and the IntraLase® iFS® Femtosecond Laser in rabbits. J Refract Surg. 2008;24(9):875-878. Binder PS. 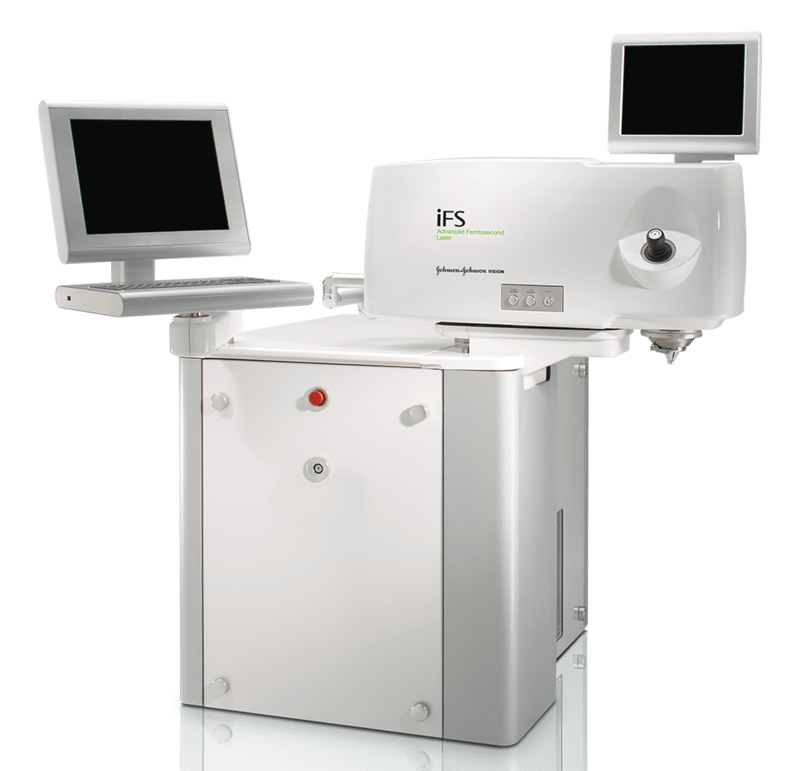 Johnson & Johnson Surgical Vision, Inc. new iFS® Advanced Femtosecond Laser: faster, safer, more versatile. Refract Eyecare. 2008. Guttman C. Accumulating research evidence highlights benefits of fifth-generation IntraLase® Femtosecond Laser. Euro Times. 2009;14(2):14. Steinert RF. Using IntraLase® to improve penetrating keratoplasty. Refract Eyecare. February 2007. Donnenfeld E. Preservation of corneal innervation with femtosecond laser inverted sidecut flaps. Invest Ophthalmol Vis Sci. 2010 51: E-Abstract 2855. Farid M, Kim M, Steinert RF. Results of penetrating keratoplasty performed with a femtosecond laser zigzag incision initial report. Opthalmology. 2007;114(12):2208-2212.